Worn by some of the world’s best goalkeepers, the Nike GK Premier SGT goalkeeper glove features a laser-etched latex palm among other unique features and is intended for match play. They’ve been on the market for a few years now so you can easily find a pair online for a discounted price; but before you go snagging a pair on sale, let’s find out how they perform to see if they’re even worth purchasing. Diving into the technical side of the glove, the Nike GK Premier SGT comes equipped with a unique laser-etched latex palm. Nike calls this “SGT,” which stands for Sipe Grip Technology. The sipe grip grooves, which are thin slits cut across the latex palms, allow the palms to spread and flex and supposedly provide the ultimate grip in all weather conditions. The palm is 4mm thick and constructed of Contact latex, which is known to be one of the grippiest latexes you can get on a goalkeeper glove. The fingers feature a flat cut with mesh gussets for breathability. On the inside of the gloves, Nike have included their Touch Tactile Nodes to enhance the feel and prevent your hands from slipping inside the gloves. Pre-Curved Bio-Align Technology, another unique technology found on this glove, positions the hands in the catch ready position to reduce stress on the hands. In regards to the backhand, there’s a layer of soft latex on top of a breathable air mesh body. Lastly, the closure is comprised of a 5 cm wide latex wrist strap set on a 7 cm wide elastic wristband for a secure and supportive fit. You can purchase a pair of the Nike GK Premier SGT goalkeeper gloves on Amazon here. Palm: Featuring a 4mm Contact latex palm, the Nike GK Premier SGT offers an amazing grip; this was expected since Contact latex is one of the grippiest latexes you can get on a goalkeeper glove. I didn’t know what to expect with the Sipe Grip Technology, though, so I was excited to see how it would fare on the pitch. After intensive testing, the SGT has proven to work quite well. I found that in all weather conditions, the grip of the latex was great and I had no problem holding onto shots. This glove also has great padding so you don’t feel the sting of super hard shots. In terms of durability, the Contact latex is surprisingly very durable; I only found minor tearing of the latex palms after a full month of use on mostly natural grass but some turf here and there. However, since the latex already has slits it in due to the SGT, this could cause the durability to be worse than other gloves. Cut: Personally, I’m not a fan of the flat cut simply because it fits loose on the fingers, but this flat cut feels slightly more snug than other ones I’ve tried. There’s still a bit of wiggle room on the sides of the fingers when your hands are in the gloves, but then again, I have slim, skinny fingers so of course there’s going to be some wiggle room. This didn’t really affect me while playing though; I was still able to hold onto shots just fine because of the Touch Tactile Nodes (grippy silicone dots) that successfully prevented my hands from sliding around inside the gloves. The mesh gussets are a nice touch as they increase the breathability and comfort of the gloves. Backhand: The latex on the backhand is embossed so there’s a great amount of flexibility and comfort while wearing the gloves. However, there isn’t much protection. The GK Premier SGT is a simple, no-fuss glove with a latex palm, a latex backhand, and a mesh body. It doesn’t feature any protective elements like a rubber punch zone or extra padding over the knuckles—there’s just one level of thickness across the entire latex backhand. This isn’t a dealbreaker as I was still able to punch the ball away on crosses, but I would’ve felt more confident clearing the ball if there was a rubber piece over the knuckles for extra power. 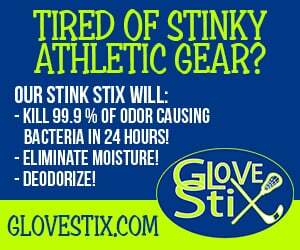 The air mesh body is lightweight, comfy, and ventilates the gloves well. Closure: The closure on the GK Premier SGT is okay, but it could be better. There’s three points of velcro contact the wrist strap makes with the wristband to ensure a super secure and supportive fit. Moreover, the elastic wristband feels comfortable on my wrist. The problem, though, is that there’s no pull tab to grab onto when wrapping the strap around your wrist; this would prevent the delicate latex fingertips from tearing when it comes in contact with the velcro on the strap. I’ve seen this feature on several other gloves and it works great—too bad Nike hasn’t implemented it on their gloves considering how expensive the top gloves are. Fit: The GK Premier SGT fits comfortably snug on my hands—it doesn’t fit tight but it doesn’t fit loose either. I could see this glove fitting just about every goalkeeper whether you have skinny hands or large hands. The flat cut definitely helps make this a glove for just about every goalkeeper since it’s not super snug like a negative cut is. The Nike GK Premier SGT goalkeeper gloves perform very well on the pitch making them a great game glove option for any goalkeeper. You feel like you can easily grab onto and control the ball while wearing these gloves. If you’re looking for a simple, grippy, and comfortable glove with new technologies packed in, this is definitely the glove for you. Even better, you can find this top level match glove on sale from most online retailers. You can purchase a pair on Amazon here.